Fall color is peaking in the High Country! Though the colors are more subdued this year, the displays are looking very pretty this week. Trees at higher elevations dropped much of their foliage during the high winds this past weekend. At Blowing Rock’s elevation, around 3600 feet, a lot of foliage remains and has shifted to warmer hues. 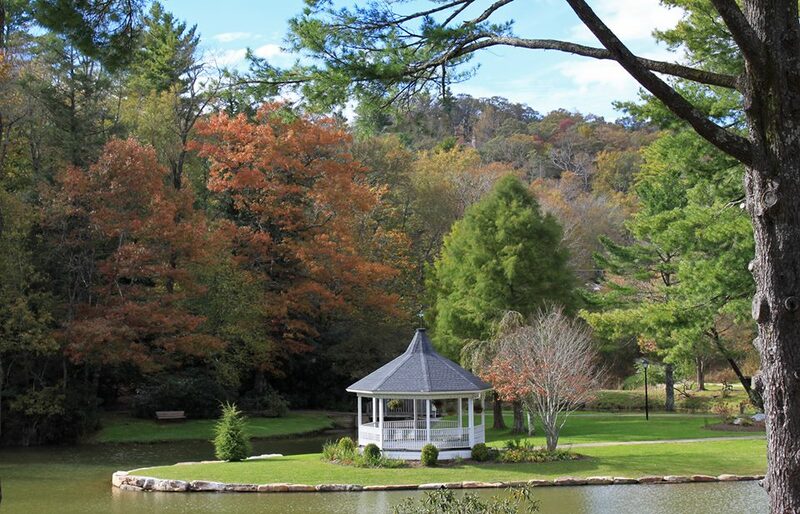 Here’s an afternoon view of Broyhill Park, located right in town.